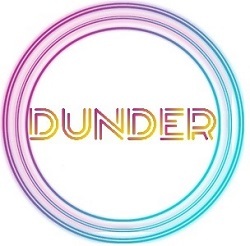 Dunder casino is one of the new style of online casinos with a very easy to use interface, no download necessary, very mobile friendly and with a silly amount of free spins and sign up bonuses available. Dunder was only set up in 2016 but is already considered one of the best new places to play online. It was created by a very experienced team of casino enthusiasts based in Sweden and although it is a mystery why it is called Dunder we believe it stands for Down Under, i.e. Australia as there is a tropical theme running throughout the site. Also they greet you with a ‘good day’ message – dead giveaway mate! The interface is modern and responsive and works fantastically with all mobile and tablet type devices as well as regular desktop computers. Everything is web based so there’s no need for cumbersome downloads and everything loads quickly even with a slow connection due to the minimalist layout. This style is clearly the future of online casinos and Dunder is at the forefront of this exciting casino revolution. 200 free spins is the upper limit of what new casinos can offer you and this is exactly what’s on offer from Dunder, 200 free spins spread over 10 days (20 per day). They will also triple your first deposit with only a 25x playthrough. So that’s a 200% bonus with 200 free spins – we challenge you to find a better bonus deal anywhere online, if you can find one we will eat our underpants and post the video on youtube. The live dealers are provided by Evolution but one thing we noticed while playing was that Dunder seem to have secured a monopoly on beautiful female dealers! What do we mean? Well all the tables featured at Dunder have female croupiers and they are all beautiful, every single one! During the entire review period we were unable to get on a table with a male dealer, we were stuck with the drop dead gorgeous modelesque dealers! There are over a thousand games at Dunder from all the latest software providers such as Net-Ent, Betsoft and Play N Go. Actually there are few online casinos that offer as many games as Dunder and this raises a problem for finding what you want. The real strength of the Dunder interface lies in the search by category feature where you can search for whatever type of game you want based on categories such as mythology, sports, animals, sci-fi, medieval, party – you name it any theme you can think of Dunder will have at least a few games based on that theme. You can also search for your favourite features in slots games, so if you like a slot that is packed with wild symbols, falling symbols, free spins, bonus wheels, win both ways or whatever it is that you’re looking for you can get a run down of all the slots that have your favourite feature. There is not a massive amount of choice when it comes to classic table games, there are a handful of software versions of each classic game such as roulette, blackjack and baccarat but mainly these categories are filled with the live dealer games. The software games they do have a provided by Net Ent and Microgaming. Dunder has one of the easiest sign up processes you could wish for, just provide your email address and you’re ready to go, if you want to try out the software for free you don’t even need to give that! To get your free spins for registering you’ll need a mobile number for validation but they send the code instantly and you have to opt-in to receive any further messages so this is really hassle free and convenient. We recommend Neteller for ease of use with banking, Dunder only need your secure code and email to validate your deposit and you can pay back onto the same account almost immediately. This instant withdrawal feature is a real strong point of Dunder’s banking interface, but they also have other options which take slightly longer such as Skrill, Visa, Paysafe, EcoPayz, Mastercard and Bank Wire among others. We love these new style casinos that are so easy to use and get your money in and out of. The old style casino with a clumsy interface that you have to download and update regularly is rapidly becoming a thing of the past and we think this can only be a good thing for users. Overall we think Dunder is up there as one of the must play destinations for casino players. And if you’re a mobile slots player you will actually find that this is your perfect casino!